Landlord Rights: Can You Stop a Commercial Tenant From ‘Going Dark’? 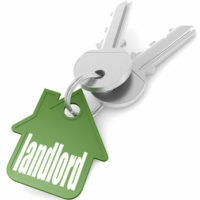 For landlords renting out multiple, related commercial properties, each of their tenants will affect one another. If one of your commercial tenants is failing, it could potentially cause strain on your relationship with all of your other nearby commercial tenants. This is something that must be considered and avoided. The most straightforward example of this involves multi-unit shopping centers. Imagine that you are a commercial landlord who owns a South Florida shopping center with ten joined units and one shared parking lot. If your largest commercial tenant suddenly shuts down its operations, that could cause serious damage (and frustration) to your other tenants. Not only is there a significant loss of shopping traffic, but the empty space can be a serious (and property devaluing) eyesore. For this reason, many commercial landlords want to have the ability to stop their tenants from ‘going dark’. But, can you actually do so in Florida? Here, our top-rated Miami landlord tenant dispute lawyers explain what commercial landlords need to know about their right to make their tenants keep operating their business. While the landlord-tenant relationship is certainly affected by state and local regulations, the core document that controls the rights and responsibilities of each party is the lease. Is there anything in the commercial lease that gives the landlord the authority to demand continuous operation, or that requires the tenant to continue to operate their business? If not, then the commercial tenant will not be obligated to do so. They could be evicted for non-payment of the rent. But, they could technically ‘go dark’, continue to pay, and satisfy the terms of the lease. Florida law will not protect a landlord if the lease agreement does to expressly or implicitly require continuous operation. Fortunately, commercial landlords in Florida have the ability to protect their own best interests. If you own multiple, related commercial units, it is highly recommended that you include an express covenant of continuous operation. While an implied covenant can sometimes be enforced by a Florida court, it is very risky for all parties, but especially for landlords, to rely on implied contract terms. You should always operate under a clear, well-drafted lease agreement that has been carefully reviewed by a skilled Florida landlord rights attorney. If you have a covenant of continuous operation, and your commercial tenant breaches that agreement, you will be able to seek remedies. Depending on the terms of your lease, you may even be able to claim substantial liquidated damages. The bottom line: be proactive and protect your rights when a carefully drafted commercial lease. At Pike & Lustig, LLP, we are committed advocates for commercial landlords in Miami, West Palm Beach, Fort Lauderdale, and throughout South Florida. If your company is currently involved in a dispute over a tenant going dark, or you need legal advice for any other reason, please contact us today to get your risk free initial consultation.